The strong combination of these chief luxury networks establishes Willis Allen Real Estate as the unchallenged authority in the luxury property market at home and abroad. As the exclusive San Diego affiliate of the CIRE network, Willis Allen Real Estate provides exposure to the wealthy auction world and offers a beneficial synergy between art and real estate in the luxury market. Christie’s International Real Estate works exclusively with affiliates that are hand selected for their expertise in selected geographies and their extraordinary level of service. Together, we bring the world’s most desired luxury homes to the world’s most discerning. 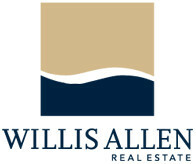 Willis Allen Real Estate is the exclusive San Diego affiliate of the Luxury Portfolio International network, comprised of the best independent local and regional residential firms in the world. Your benefit starts with our ability to market your property on a global basis, reaching 47 million affluent consumers annually, along with the buyer introductions we regularly receive from this network.